In the latest episode, I finally discuss the Disney buyout of LucasFilm and the upcoming Episode VII. 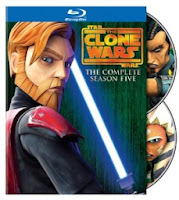 I share how I became a Star Wars: The Clone Wars fan and discuss it's cancellation and the campaign to #SaveTheCloneWars. I also briefly discuss the new ABC show Marvel's Agents of S.H.I.E.L.D.